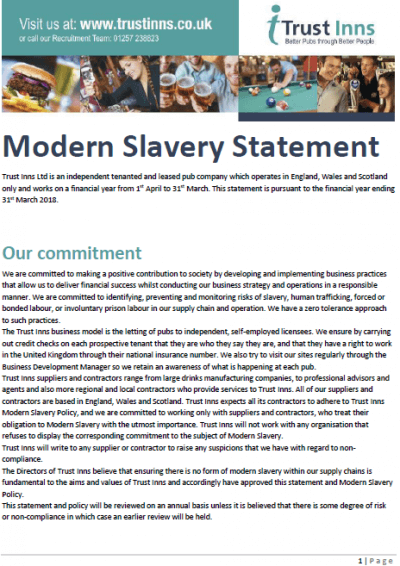 We are committed to identifying, preventing and monitoring risks of slavery, human trafficking, forced or bonded labour, or involuntary prison labour in our supply chain and operation. We have a zero tolerance approach to such practices. 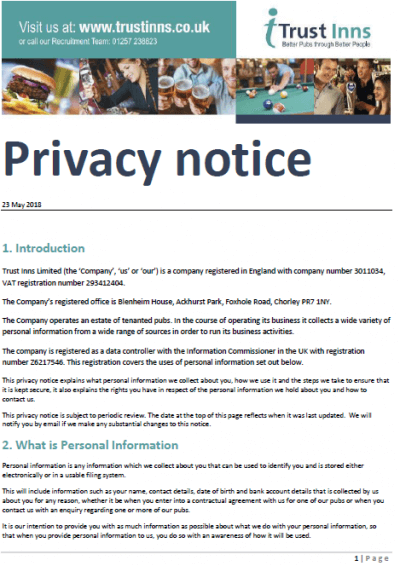 The EU General Data Protection Regulation (GDPR) will come into force in the UK on 25 May 2018 and this introduces changes to the way we as a business process data.